How to write a high-performing blog post that actually achieves your marketing goals. A lot of times in marketing, we confuse success with popularity, and everyone has different opinions on what leads to that. In 80s’ movies, success is a spot on the football team or a nice car; In the Broadway musical, Wicked, it’s the right pair of shoes. Unfortunately, in digital marketing and content creation, qualities like those don’t quite make the cut. Success in marketing is defined by metrics, and the secret formula to a metric-busting blog article is as much about substance as it is style. Using the formula I share below, we’ve helped organizations 3x their blogging ROI. How can your organization set your blog up for this kind of success? Like many writers, I can argue for days about whether or not a piece of content is well-written, engaging, or entertaining. Labels like these are all subjective — but even I can’t argue with concrete numbers. Marketing today is as much about metrics as it is about creative magic, and the only way to know definitively if a blog article is a success is to look at its performance. A “successful” blog article is one that achieves the marketing goals you intended when you hit publish. For example, if you wanted to build brand awareness, keep your eye on the number of social shares, as it is often indicative of reach. If you want to generate new visitors to your site, monitor views, and new contacts. When metrics, like those above, show that an article is delivering numbers higher than an average post, there is no arguing with its success. So how can you ensure blogging success continues? In the next section, I’ve outlined several of the strategies we’ve used at IMPACT to triple our website traffic and subscriber list in under a year. While I can’t guarantee these tips will strike gold for every article, our experience has shown they consistently provide an extra edge. If you’ve been blogging for quite some time, like IMPACT, don’t start from scratch. Roughly 85% of our agency’s overall monthly website traffic comes from articles originally published more than three years ago, and even HubSpot saw a similar trend in its 2015 attribution report. Older articles typically perform well because they are already indexed in search engines and have existing authority and backlinks. So, use them to your advantage. Identify your blog articles with the highest traffic and highest conversion rates and optimize them to see even better results. For those of you without an established analytics platform, there are several tools available online to help you find your top performing blog articles. HubSpot, Google Analytics and Databox, for instance, will easily show your highest viewed and converting articles, while BuzzSumo can show those with the most shares. From there, you can sort by the date range of your choice as well as author, publish date, and clicks. 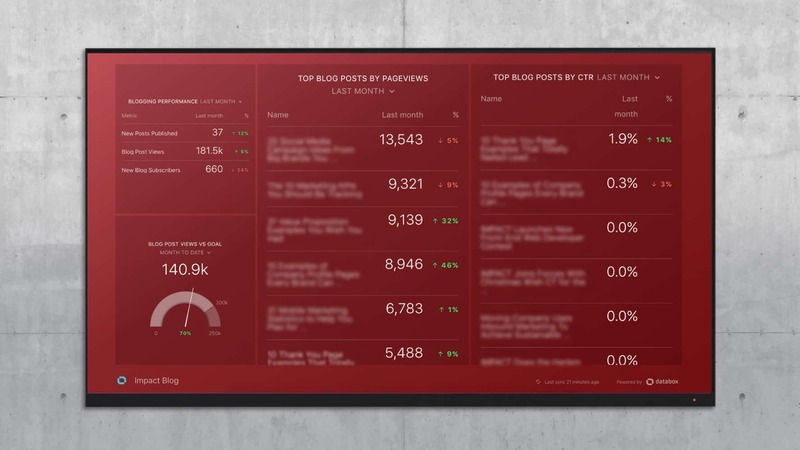 On DataBox, you can see and track similar information by creating a datawall from scratch dedicated to your blog using Google Analytics or HubSpot data. 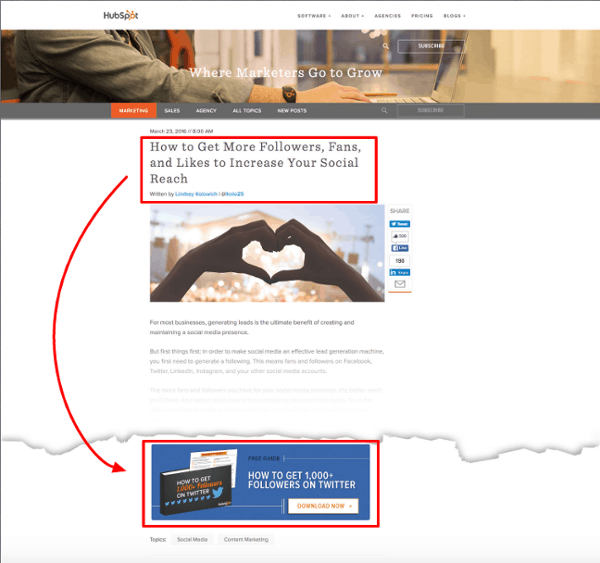 Or you can connect your HubSpot account and get this HubSpot blogging report template (shown below) in just a few clicks. On BuzzSumo, type your URL or desired keyword into the platform’s search bar and it will fetch the five related articles with the most shares. You can see these results for free, but you’ll have to subscribe for the full report. With your top blog articles in hand, it’s time to optimize. If you’re just getting started with blogging for business and don’t have much content to work with, sit tight. These tips are also useful in laying the foundation of a successful strategy and creating fresh content. Most searchers don’t go past the first page of search engine results. So, to maximize your search traffic and get found by more people, you need to make sure you’re there. With changing algorithms and very little official guidance, marketers can only research, hypothesize, and test what works beyond basic on-page SEO. Make the URL shorter: URLs ranking #1 have on average 50 characters or less — and make sure it includes your focus keyword. Keep your title short: Most search engines limit page title displays to 70 characters (depending on screen size). Staying under this limit will ensure your whole message gets seen in results as well as in tweets. Titles shorter than 8 words long tend to get a 21% higher click-through rate. Include your keyword early on in the title: This ensures it’ll make it in under the character limit and that it’s one of the first things crawled. Add more mediums: Include graphics, animations, interactive elements, video, etc. Interactive content converts 2x better than static. Make it easier to read: The average Flesch Readability Score of content ranking #1 was 76.6. This means it is easily understood by 13-15-year-olds. Simplify the structure: #1 ranking content has bulleted lists 78% of the time. Make the font bigger: On average, pages ranking #1 have 15.8px font. Make it faster: On average, pages ranking #1-2 had the smallest image file size of the top 30 results. Make it more visual: The average #1 article has 9 images. Those with an image every 75-100 words get the most shares. You may want to even consider custom images. These can help create a sense of professionalism and credibility, and be more appealing when shared. Use high-quality photos: High-quality images and graphics get 1215 more shares than low resolution. Link out: Sites ranking #1 link out 50% more than those ranked #10. Make it longer: The average #1 page has 2,416 words. Try combining low-performing articles on the same subject into one. Republish it. Google wants to deliver information that is up-to-date and accurate. Updating your content and republishing it makes robots take notice and recrawl. Now, this sounds obvious, but you’d be shocked by how many brands put great titles on the backburner instead of marrying them with their keyword strategies. Title has a major impact on the performance of your blog articles, especially in terms of clicks and shares on social media. That being said, it needs to be compelling to a human, not just Google’s algorithm. Make sure it attracts attention and incite a sense of curiosity and urgency to click. Leave key information out. Convey your value, but leave just enough information out (i.e. “This One Amazing Tool…”) to encourage people to click in order to satisfy their curiosity. If creating a list, use an odd number. They get 20% more clicks than even numbers. Titles with colons or hyphens perform 9% better. Ask questions — but refrain from yes or nos. If people can answer simply themselves, there’s no need to read further. Try going negative. Titles including words like “worst,” “stop,” and “terrible” tend to outperform positive alternatives. Focus on the reader. People want to know how they’ll benefit by clicking through. Words like “you” and “your” automatically make their ears perk up. Still need some more help? Give IMPACT’s blog title generator, BlogAbout, a try. 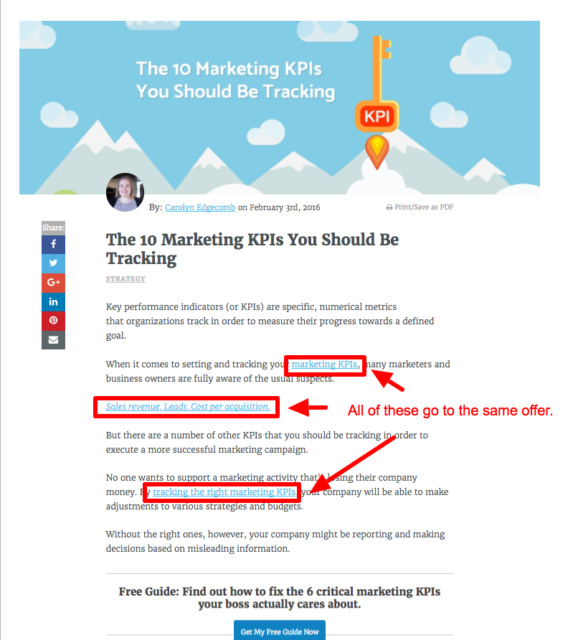 For those of you using HubSpot, look at “optimization” tab under your article’s performance, to see exactly what buttons are on it and how well they’re converting. If they’re getting a lot of views, but few conversions, they may need an update. Ask yourself: does the subject matter of the attached offer directly align with the topic of the blog? If not, consider replacing it with one that is more relevant. A relevant CTA continues the journey and mindset the reader is already in, rather than pulling them away with something random. If your offer is already relevant, try changing the language used on the button — but don’t just incorporate general copy that may or may not match what the reader is looking for. Adjust the text to include your target keyword, or dive into your analytics to find the exact search terms your reader used to find the article. Making this change will help your calls-to-action better resonate with those seeing them, and in turn, make them more likely to convert. You may also want to give your calls-to-action a redesign. If you’ve been using the same looks for more than a year, readers may be getting banner blindness to them. Consider A/B testing different colors or layouts with the same copy. Even the smallest tweak may have a positive impact on your conversion rates. Another way to increase your conversion rates is to make your calls-to-action more visible. Doing this gets your offer in front of the reader earlier, when their attention and interest is at its highest and they’re more likely to convert. For similar reasons, consider adding more text links to your attached offer throughout the article. Like the in-line CTA, these conversion points will reach the reader when their interest is highest, but with the added benefit of feeling more natural. Unlike the in-line CTAs that boldly drive readers to convert, the text links are subtle. They feel more helpful than sales-y, creating less friction. 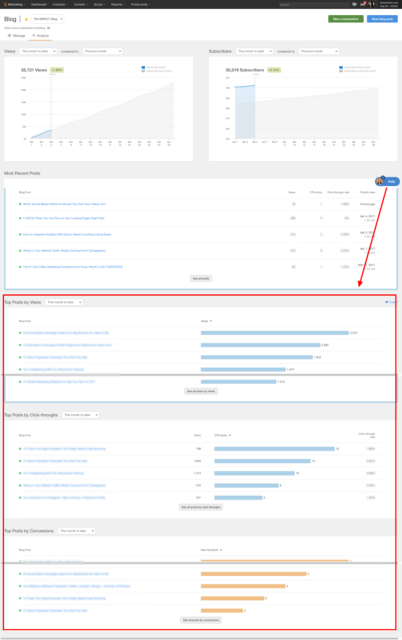 Databox does this brilliantly by writing educational articles about marketing metrics, showing dashboards that display said metrics, and linking to a landing page where you can set up the dashboard to view your data in two clicks. 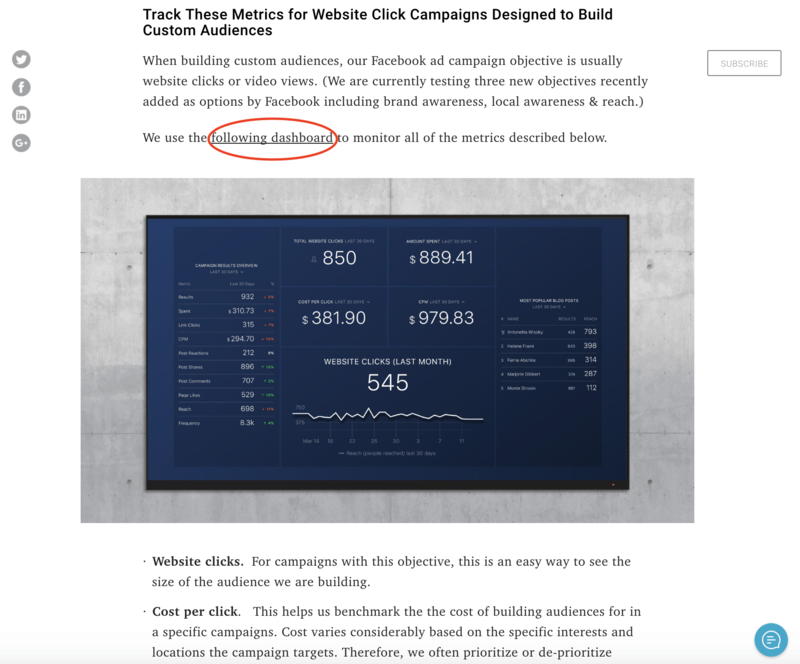 This marathon guide to optimizing Facebook Ad campaigns is a perfect example. Having a high-performing blog that achieves your marketing and business goals isn’t as difficult as it seems. Just take it one post at a time and optimize as you go. While competition is higher than it has ever been, with the simple (but effective) tips I’ve outlined above, you will be well-equipped to rise above it, generating more brand awareness, traffic, and leads. Does your organization have any secrets to blog success? Share them in the comments. 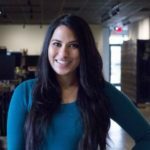 Ramona Sukhraj As Content Marketing Manager at IMPACT, Ramona approaches marketing not only as a profession but as a creative outlet. She has a passion for all things artistic and strives to create content that is educational, yet quirky and entertaining as well. With a B.S. in Marketing from the UCONN School of Business, Ramona is a frequent contributor to the HubSpot blog and a nonprofit consultant. Outside of IMPACT, she is a design, movie, and pop culture buff, and a fierce advocate of free hugs.